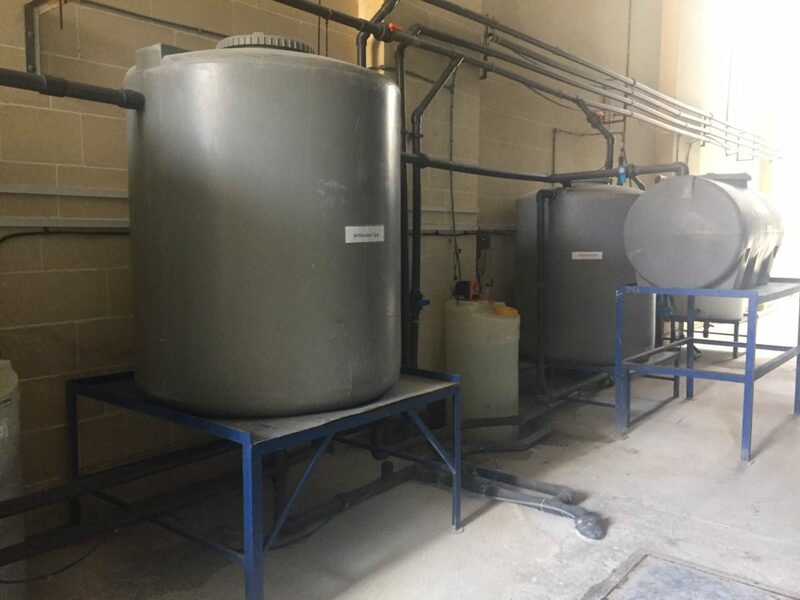 TSS Malta has developed a water recycling system so that water used for the process which was previously lost is now being recycled and reused. Water from the particular process would contain a high amount of fine ceramic particles that even its color turns to white. However, through a series of settling stations* and a final sand filtering station, water is filtered and redirected back to the main reservoir from where it was originally supplied. The project was completed in Malta, where it has a high environmental importance, as Malta is one of the top countries facing water scarcity in the world. *A settling station is effectively a tank containing water (2000 ltrs in this case) which would contain ceramic waste particles. The water is left in it to settle and eventually the ceramic particles drop to the bottom of the tank. The water on top would therefore be cleaner and ready for the next stage. The savings were of an extreme large scale. The project started in 2011 when the first recycling plant was installed. It was then followed by another two plants to cover all areas of the premises. This resulted in total savings of 18,500m³ of water, having started from an annual consumption of 31,500m³ and finished with an annual consumption of 13,000m³. A massive savings of 60% of the total consumption. The consumption after the project remained at the same levels despite a definite growth in productivity. Disposal of ceramic waste (regulatory + environmental). Ceramic waste sludge is an inert waste. In legal terms, this means that it can be disposed of in an inert waste landfill, together with other household waste. Our challenge is to make sure to filter it out completely and dispose it in the correct manner. We also need to make sure that no quantity is leaked through the local drain system as it can cause damage. Keeping costs of consumables low enough so that the project made also financial sense.